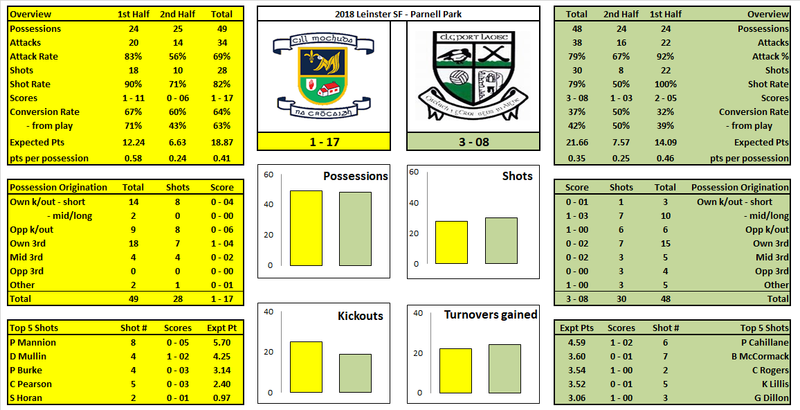 Laois’s returns are a bit of a curate’s egg; they struggled to convert the possession they had into shots (60% shot rate was the lowest of the 8 quarter finalists – next lowest was Down on 75%) but when they did shoot their conversion rate was excellent (only Cork’s 68% versus Kildare bettered them). Not for the first time this year Dublin’s shooting was below average. Their returns have been very inconsistent with both their Shot Rate & Success Rates varying from game to game. If they put it all together they will be hard to beat however the concern must be that we are in the middle of August and the complete game hasn’t occurred yet. 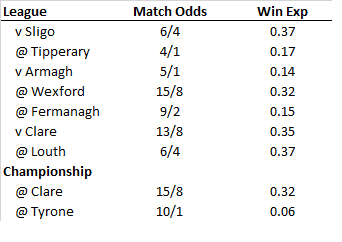 To only have 8 shots from play in a QF is remarkable; Down managed 11 & Kildare managed 17 in their two big losses. 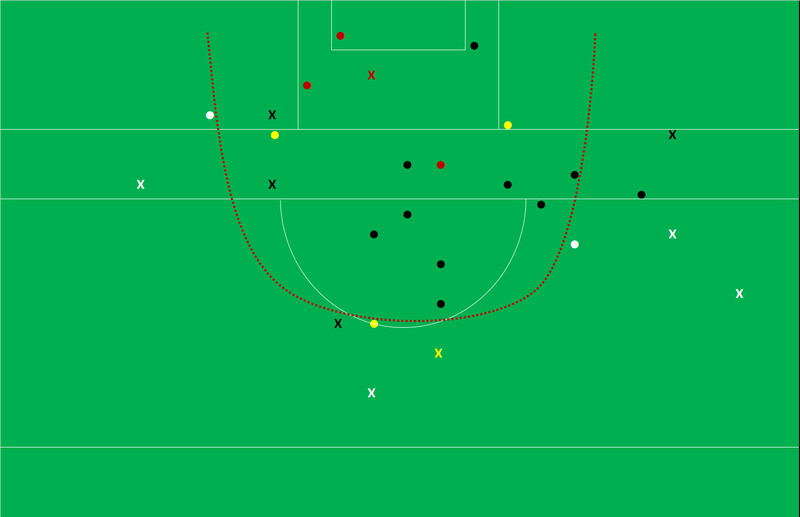 Probably more remarkable is that in the 2nd half, when they were within sight of an All – Ireland semi final, they only had 6 shots on goal of which 1 was from play (Munnelly dropped it into Cluxton’s hands at the start of the half). For all Laois’s endeavour it was Dublin’s wastefulness, and unnecessary fouling (why foul anywhere inside the 45m line against such a shot shy team?) that kept them in the game. In the review of the Meath game I highlighted how the starting 5 forwards outside of Brogan have had average returns – that none of them were stepping forward to help him on a consistent basis. That’s still the case. 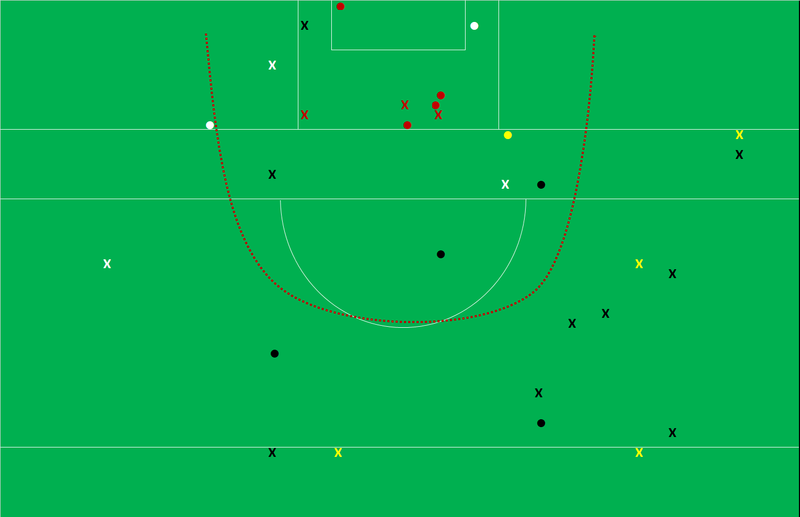 Flynn & Cluxton had their shooting boots on in this game but Flynn missed all three shots against Meath; Cluxton hit 3 from 6 deadballs in the 3 games prior to this. Despite the fact that Brogan has been inconsistent, and the other forwards have not stepped up, Dublin are winning. They have scraped over the line in games where Brogan hasn’t played. Winning ugly is the mark of a champion … but you have to feel that the better class of teams they will now meet will not be as lenient as their opponents have been to date.